these are lovely, I hung above one another then added a sprig of drape in greens to hang on the corner. nice accent. I ordered this set of prints as shown here with a silver frame. It just arrived with black frames, which doesn’t look as good as the lighter frame. I’m so disappointed. These prints are beautiful, they look perfect in my hallway. My only complaint is that the online photo makes them appear to have almost a brushed silver frame and the 2 I received are in black frames. Still great but I would have liked the color online better. These are similar to the picture but not what I thought I was buying. The dimensions and picture listed is a square, these are rectangular. And on top of that, the frame is not the same as what’s pictured. For me, this was a lot of money to spend on 2 photos to not get what I paid for. These canvass prints are available on other sites. 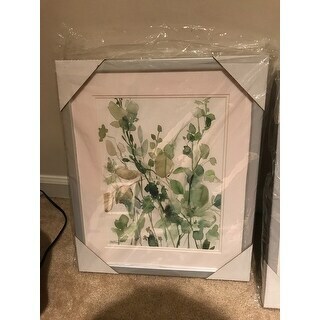 I really wanted the frame with the advertised canvass prints but I would’ve rather gone to another site to purchase these. Buy at your own risk.. 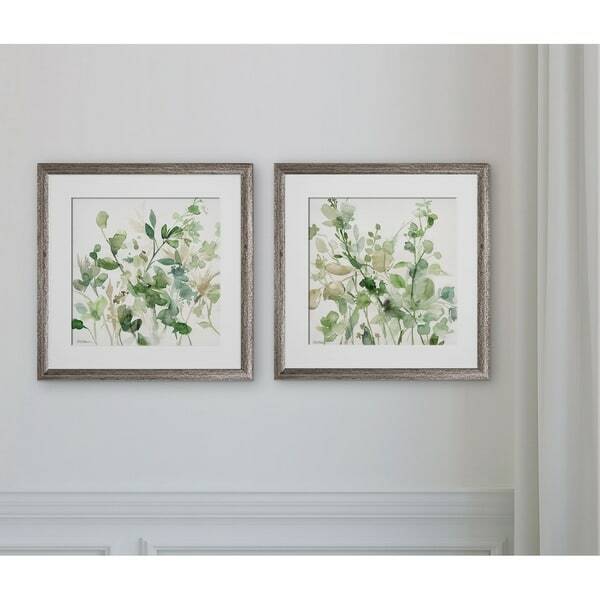 This 2-piece set of framed prints is stunning. The prints are crisp and clear, and are matted perfectly in the gray frames. 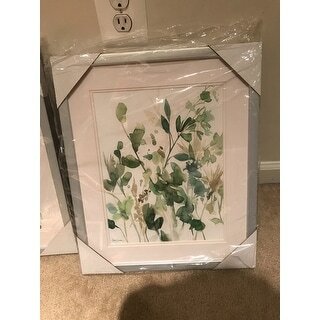 The frames are plastic, as described online, but they are still classy looking, and offered me the color I wanted to match my living room decor. Nothing more peaceful than looking at these simple but elegant pics I put in the in laws room. They just live it because with their curtains and bedding we didn’t need anything to busy or patterned on the walls and these were perfect! Beautiful addition to my dining room! Pale pastels that compliment each other! "Ive read the reviews on this product, I don't want black frames, it would take part of the reason Im would purchase these. I agree that Id like to receive the product as described or shown. Id like to avoid the return processs. so please let me know what product I will receive. Thank you "